A 5k run/walk that is as much show as it is run. Electric Run™ is a 5k run, a show, participation art, and celebration of life. Incredibly talented artists and lighting technicians with experience creating beautiful art and light at Coachella, Dreamworks Animations, Disney, and some of Vegas’ hottest shows have come together to create a world that will fill you with wonder. 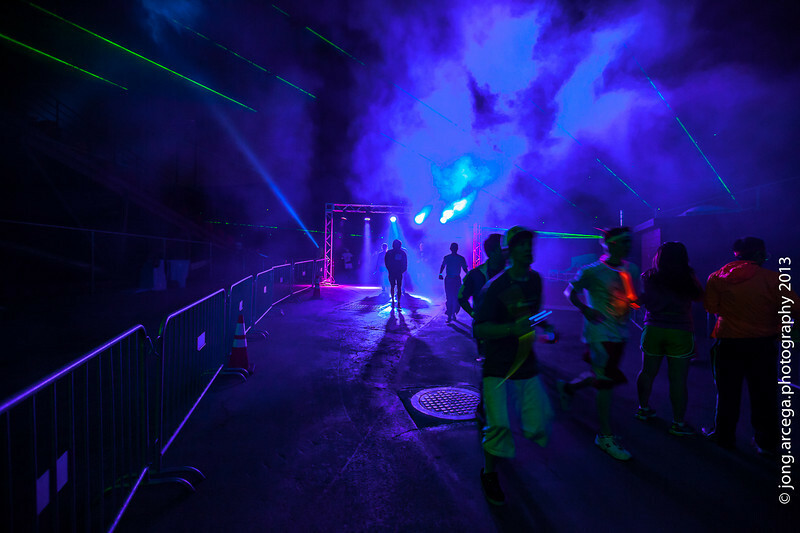 The Electric Run is a show; the course is the set and the participants are the cast! Come let your light shine and your creative juices flow. Add your own creative spark by dressing up in other-worldy costumes that glow, shine, blink, and dazzle. Show us all what you’ve got! Each course will have 5-10 distinct lighting experiences which will include different artistic elements and different moods. Some will be very energetic others will be more etherial. Our in-house DJs will be working with our Art and Lighting Directors to create custom mixes that work with the visual mood in each world. Whatever event(s) you participate in, we promise that it will transport you to a new world of light and sound™ unlike anything you’ve ever seen or experienced. Participate as an individual, or gather your friends together and participate as a team of 4 or more. The lights and sounds will kick up a notch as you cross the finish line. Neon trees, glowing arches, lasers, glowing beach balls and other lighting effects will all dance to the music celebrating your return. Stay and dance as long as you like as DJs will mix the latest EDM tunes from the main stage.